Bhutan is popular for its natural bio-diversity and natural resources. Bhutan has a forest cover of more than 60 percent of its land. The Fourth King of Bhutan and the people received the Champions of Earth Award in 2005 by the United Nations Environment Program, for outstanding achievements of individuals and organizations in protecting and improving the environment. 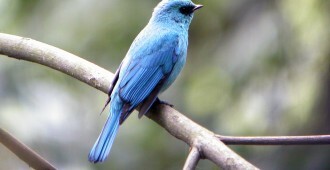 The forests of Bhutan host various wild animals and birds. It is a paradise for bird lovers. Bhutan has 680 species of birds of which 22 are globally threatened. You can see birds living very close to humans. Mountain Biking is currently a new sport picking up in Bhutan. 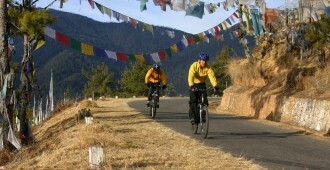 Tourists have always wanted to go on biking trips to the mountains but now you will also see a lot of the locals biking in Bhutan. There are different biking routes. Most people bike along the road but some like to bike on the mountainous rough terrains. You can go on an adventure on your bike. We can get you a professional bike with all the required biking equipment. White Water Rafting is another adventure that is gaining popularity among tourists. Bhutan has many rivers ideal for rafting. The most popular river for rafting in Bhutan is the Pho Chhu (Male river) and the Mo Chhu (Female river) in Punakha. It is because you can admire the 17th century fortress and enjoy the tranquility of Punakha. If you are lucky, you can also get a glimpse of the White Belled Heron, an endangered bird species.